An eye-catching centrepiece for your dining table, this impressive seven candle candelabra is the perfect accessory for a dinner party. 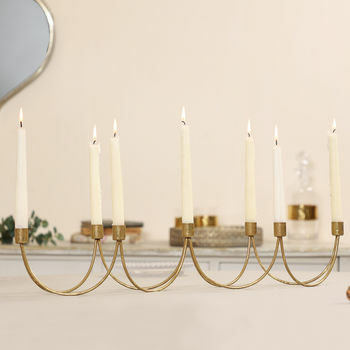 Complete with a set of 8 ivory taper candles, this elegant candelabra is sure to impress guests. 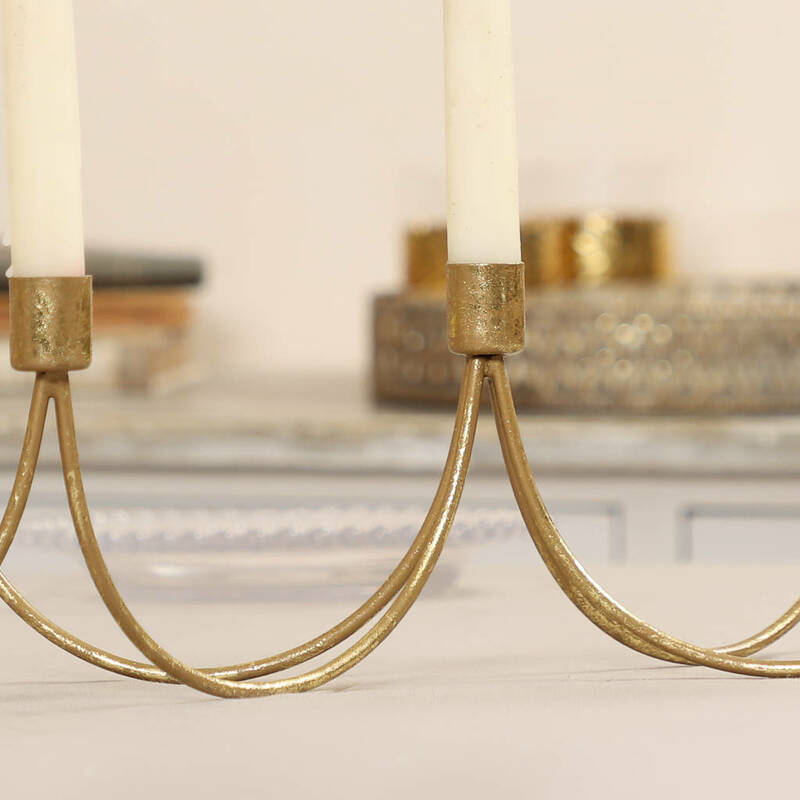 Balancing the traditional and contemporary with ease, this deliberately distressed gold table centerpiece is hand finished, and will add a touch of decadence to any interior. 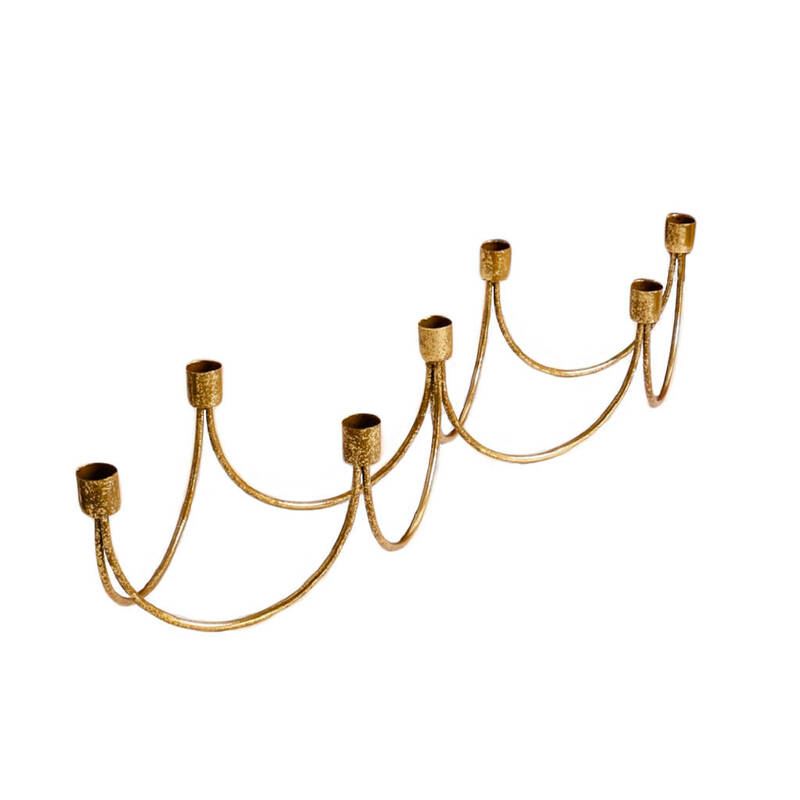 A simple, yet effective table decoration to bring a sophisticated atmosphere to your formal dining table. At Dibor, we believe in using only the finest materials, finishes and techniques. 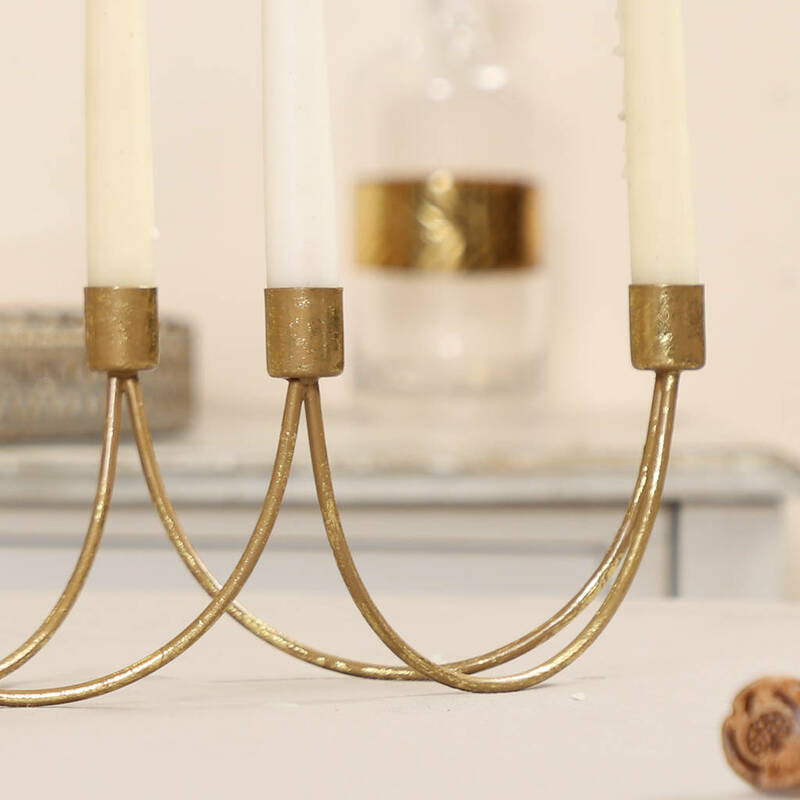 Made from responsibly sourced iron with gold accents for a stunning result.